Some of my games available for iOS! More games will follow in the next weeks, including the RPGs, however in the case of Planet Stronghold I had to redesign the GUI a lot because was almost unplayable on the mini iPad. I am not bothering with iPhone since I honestly don’t think anyone can play games with complex GUI on those devices with such TINY screens! 😀 Besides, I should redesign the games completely for those devices and I really don’t have the time: however the game themselves will work, you can try if you want. The good thing is that the artist who took 2 months break, is working on the romance scenes now, so I can definitely tell you that SOTW will be out this year, very likely the next RPG to be done! This entry was posted in development screenshot, development tricks, iPhone & iPad. Bookmark the permalink. 12 Responses to Some of my games available for iOS! Has it gotten easier to port to iOS, or is this the result of longstanding projects? 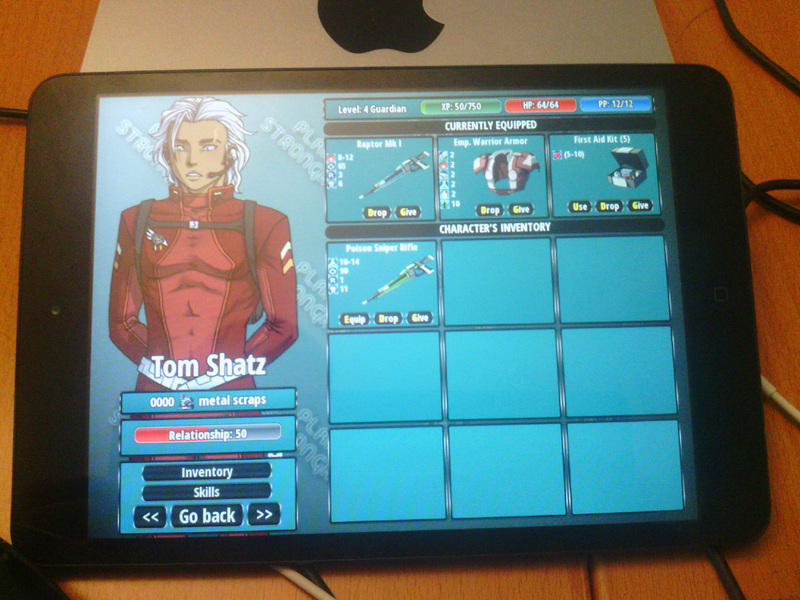 The inventory screen of the iOS version of Planet Stronghold is an improvement over the PC version. The only information that seems to be missing is weapon/armor requirement. It easier to compare item stats, since the tooltip design for the PC felt rather cluttered. Anyways, I can’t wait for SOTW! I hope to get out of this week alive soon. Between bundles, offers, Steam, Desura, iOS I hadn’t a single day to work on SOTW (or other new games). 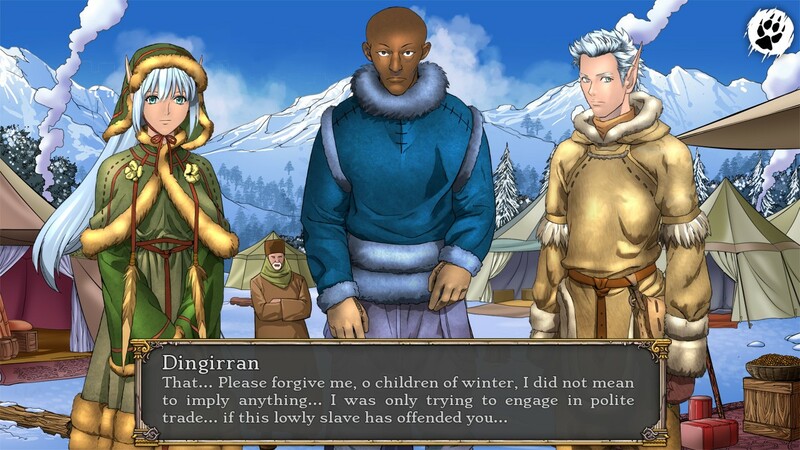 You’re right to avoid putting the RPGs on iPhone/iPod. I can barely play Flower Shop as it is (of course the PC/Mac version is better because farming, yay!). Well I AM putting the RPG as well ! 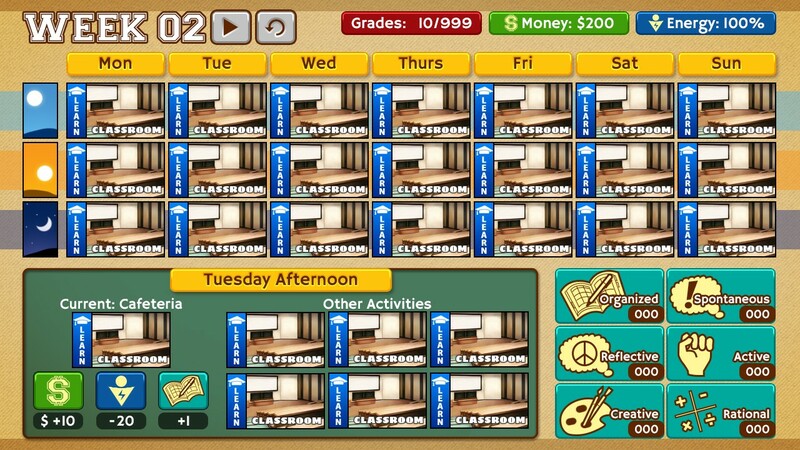 But I’ve redesigned the UI a bit otherwise was too hard to play. The Winter In Fairbrook port has farming even on iOS actually, is Summer In Fairbrook that is VN-mode only (wasn’t ported by us). And yes of course all games on Apple will be censored (but the same for Google or other appstores). I’m really looking forward to Roomates and SOTW. I saw that Loren made it to Steam too. Is it the same or did you have to censor it? Do we get steam codes if we already have it? If you have it already yes, email me to get the keys!